Here’s a memorable beach moment: You’re basking in the warm sun, toes in the sand, letting the gentle turn of the foam-capped waves lull you into a state of complete relaxation. As your eyes scan the endless horizon of blue on blue, you’re rewarded with a school of dolphins making their way across the sea. There’s no denying their signature shape as they leap from the water. If you don’t see anything else extraordinary the rest of day, you can take solace knowing you’ve witnessed one of nature’s most playful and human-like creatures in their natural habitat. Why not recreate that special moment with our Dolphin Pendant? 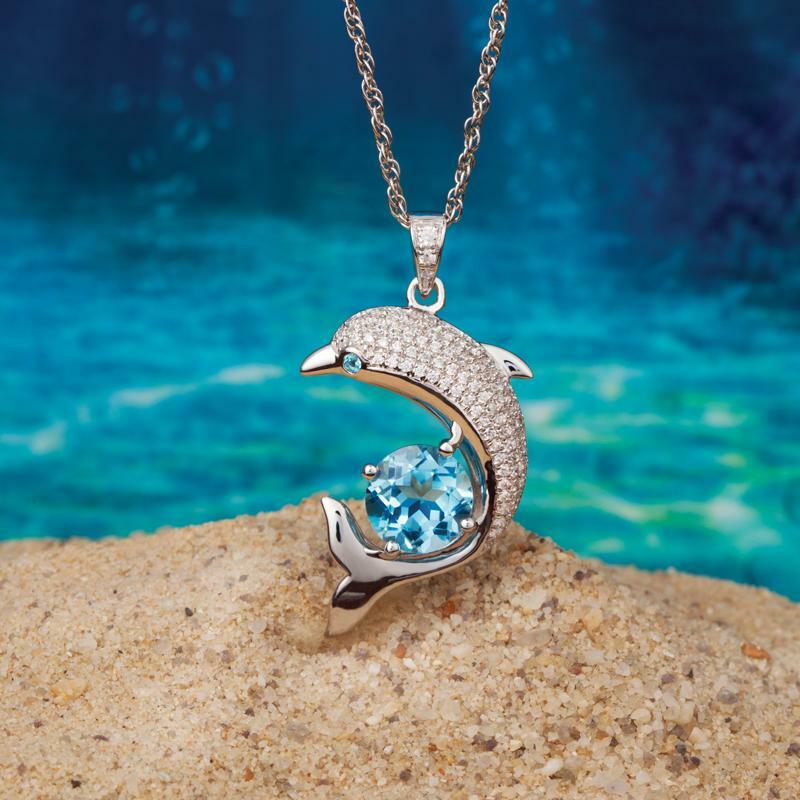 The beloved sea mammal has been captured mid-jump in sterling silver. And, tucked into the dolphin’s fins is a full two carats of shimmering blue topaz. The perfect symbol of fun in the sun.